Filipino-Americans under the banner of BAYAN USA are calling on Philippine President Benigno Aquino III to terminate the US-RP Visiting Forces Agreement (VFA) as protesters descended upon the US Embassy in Manila yesterday to rally against the disaster surrounding the USS Guardian, a US naval minesweeper that got stuck onto the Tubbataha Reef in the Sulu Sea over one month ago. The Tubbataha Reef, a large atoll coral reef and natural marine park, is regarded as a World Heritage Site by United Nations Educational, Scientific, and Cultural Organization (UNESCO). Negotiations between the US and Philippine government on the matter have been stalled, and the US Navy has yet to dismantle the ship. No investigation of the incident and how it occurred has been pursued by the Aquino administration, despite the unfolding devastation the disaster is having on the livelihood of many fisherfolk in the area and its larger implications on Philippine sovereignty. Since its ratification in 1999, the VFA has resulted in the permanent presence of US troops in the Philippines despite the closure of the US bases in 1991. Last year, the Obama administration announced plans for a so-called rebalance of its military force to the Asia-Pacific region. 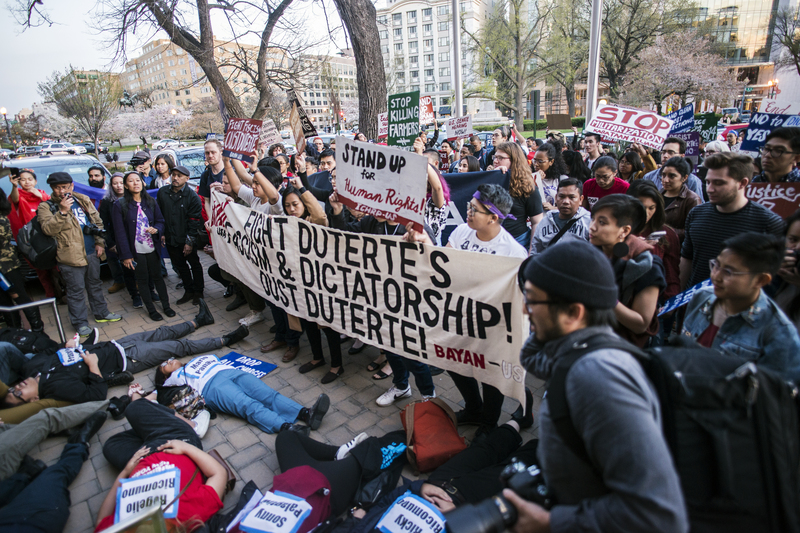 Key to its geopolitical strategy is it military posturing in the Philippines. Junk the Visiting Forces Agreement! US Out of the Philippines Now! Accountability for the Tubbataha Reef Disaster! Uphold and Respect Philippine Sovereignty!